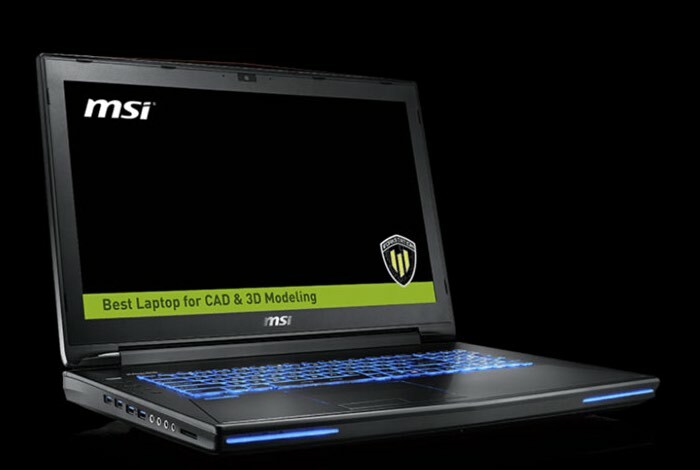 If you are looking for a mobile virtual reality workstation you might be interested to know that MSI have this week unveiled their new MSI WT72 NVIDIA VR ready mobile workstation, which is now available to preorder with prices starting from $5,499. The MSI WT72 has been built with performance in mind and is equipped with Intel 6th Generation Core-i7/Xeon processors that can be supported by up to 64GB of DDR 4 memory that is supported by NVIDIA Quadro M5500 graphics. The WT72 with NVIDIA’s M5500 Quadro GPU is the world’s first VR Ready mobile workstation and can blaze through the most demanding tasks. NVIDIA powers our workstations, from the ultra-powerful WT72 to the super lightweight WS72 and WS62, and we are delighted to partner with them to drive the VR revolution into a new dimension. MSI’s WT72 armed with the Quadro M5500 GPU comes with a variety of exclusive NVIDIA technologies to maximize the VR experience, including VRWorks, which includes an innovative rendering technology for VR content called Multi-res Shading, and Content Priority. The WT72 is Autodesk VRED certified and compatible with existing VR systems, including Oculus Rift and HTC Vive. For more information on the new MSI WT72 NVIDIA VR ready mobile workstation jump over to the Tech Power Up website for details via the link below.